Prepare a delicious Easy Cheesy Potatoes side dish for dinnertime! 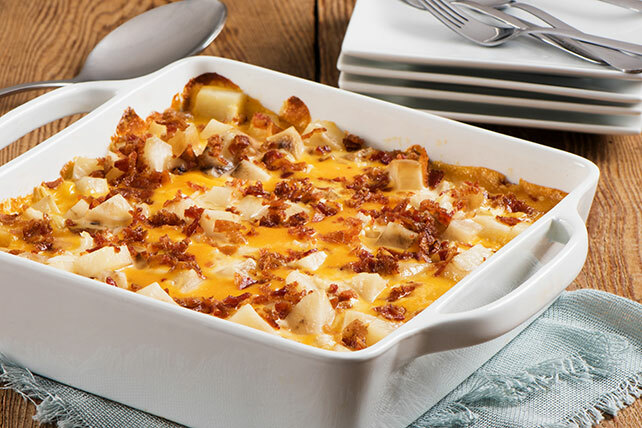 Everyone likes Easy Cheesy Potatoes, especially when bacon and onions are involved. Combine all ingredients except bacon in 8-inch square baking dish sprayed with cooking spray; cover. Top with bacon; bake, uncovered, 5 to 10 min. or until potatoes are tender.